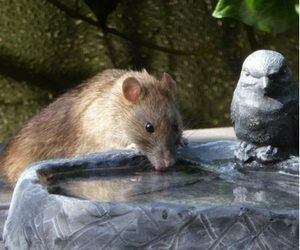 For a majority of homeowners, rats are not welcome house guests. These large rodents are capable of doing extensive damage to a home, and put the health of you and your family at risk. The key to efficient rat control is early detection, so if you notice the signs of rat activity in your home, don’t wait to take action. Though we always recommend calling a professional to remove any nuisance animals from your home, there are preventative steps you can take to keep an infestation at bay. Sealing Entry Points – Though large in size, rats are able to squeeze through tiny cracks and openings to gain access to your home. By thoroughly inspecting the exterior of your home for holes and cracks over ¼” wide, you can significantly reduce your risk for infestation. Rat Traps – There are a wide range of rat trapping devices available on the consumer market, most of which are only marginally effective. Placement is critical, so try setting them up in areas that rats are likely to venture; your attic and garage are good starting points. If your traps do work, do not handle rat carcasses on your own. Call a professional to dispose of them safely. Natural Repellents – Natural rat repellents have gained popularity for their simplicity, effectiveness, and lack of harmful side effects. Peppermint oil’s strong scent is a great way to help rats avoid certain areas, especially when used in high concentrations. Of course, the best repellent is simply a clean household, as crumbs and food scraps are highly attractive to unwanted rodent guests. Though there are steps you can take to help prevent an infestation, the possibility of an issue still exists. 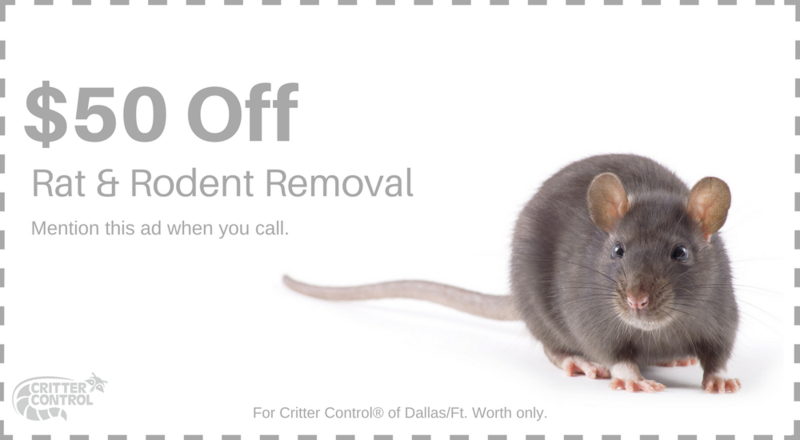 If you are faced with a rat control problem in or around your home, the professionals at Critter Control® of Fort Worth are here to help. Our trained technicians will remove every last rat from your home quickly and efficiently while keeping your family out of harm’s way. For any questions, or to schedule a complimentary home consultation, call us today at 817-442-2201.